Industry picks for the best in Richmond advertising last year were recognized Friday at the Richmond Show, the Advertising Club of Richmond’s annual awards ceremony. 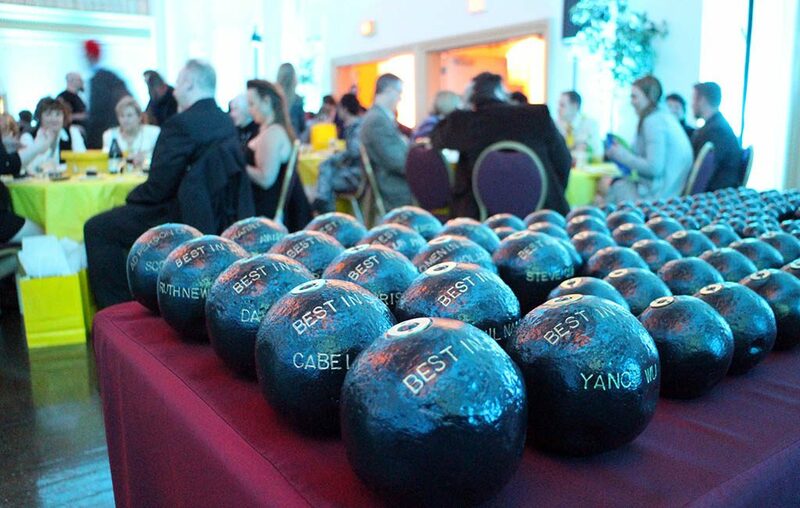 Nearly 150 of the club’s cannonball awards were presented in categories such as design and production for work judged by a panel of out-of-town judges. Among the night’s big winners was branding agency Work Labs, which took home two best-in-show awards and six gold awards. The agency, led by VCU Brandcenter faculty member Cabell Harris, also picked up three silver and two bronze awards. 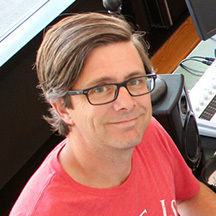 John Mills of branding firm Release the Hounds was this year’s recipient of the Mike Hughes Ad Person of the Year award. Club board member Anne-Stuart Teter, who was introduced Friday as the club’s new president, said Mills was selected for his years of experience, his agency’s business model of dedicating 30 percent of its workload and resources to social causes, and its recent Soundview Project, which last year donated $20,000 worth of musical instruments to Richmond Public Schools. Crystal Douglas, a student in VCU’s Robertson School of Media and Culture, received the Barbara Fultz Women in Advertising Scholarship, while the Brandcenter-specific Harry Jacobs Scholarship went to student Belem Medina. Work Labs’ best-in-shows were in the advertising and design categories for work that included a Brandcenter documentary. Other best-in-show winners were video shop Mondial in the production category for its Webby Awards show-opening video for agency Crispin Porter + Bogusky. Studio Center won in the interactive category for its multiplatform campaign for Hills Bros. Hot Cocoa, and Brandcenter’s Lynn Nakamura won the best-in-show in the student category for work for Venmo. Gold awards in the advertising category went to Work Labs for a pitch books project and Brandcenter work, production house MadBox for its “What if?” work for agency Wray Ward, and The Martin Agency for Geico’s “It’s What You Do” campaign. Design golds went to Work Labs (3) for work for Cobra USA and White Stone Oyster Co., Padilla’s Joe Smith for a Beale’s Brewery illustration, and Barber Martin Agency for work for Reservoir Distillery’s Hunter & Scott Bourbon. Production golds went to MadBox for its Wray Ward work, Work Labs for its “Hidden Agenda” documentary, and Dreams Factory for its “Hunter and dog” spot for The King Agency and McGeorge Toyota. Golds in the interactive category went to Fable for its “The Boy and the Bucket: A Fable” brand film, Studio Center for its Hills Bros. Hot Cocoa work, and HeliumStudio for its LeafSpring School website. Gold awards in the student category went to Brandcenter’s Cody Eanes and Brianna Gross for their work for CVS Pharmacy and Band-Aid, respectively. Teter was introduced as club president, replacing Molly Covert, who concluded her one-year term. Teter, an account manager at Addison Clark, was previously the club’s event and sponsorship chair. Board member Kate Fallon was named vice president. The Olympiad-themed event was held at Altria Theater. Cobb Technologies’ Peter Larsen, who starred in the company’s “Awful Co-worker” TV ads last year, emceed the awards. Note: This article has been updated with information about John Mills’ Ad Person of the Year nomination.